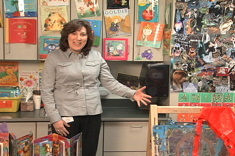 In this room tour, Maureen Knostman of Dublin, Ohio shares literacy areas in her kindergarten classroom. 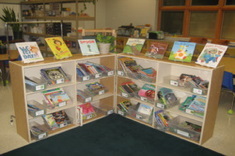 In this first video in our “Organizing Book Boxes” series, Joan Moser (of “The Sisters”) explains three strategies she uses to help students pick books for their book boxes. In this second video in our "Organizing Book Boxes" series, Joan Moser (of "The Sisters") explains how she differentiates the content of book boxes for students with different skills and needs. In this third video in our "Organizing Book Boxes" series, Joan Moser (of "The Sisters") tackles the issue of what types of books and what levels are appropriate for student book boxes. 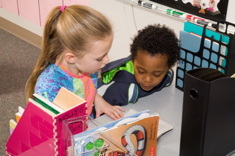 Katie Doherty shares how she has organized her 6th grade classroom to support students at her bustling middle school. 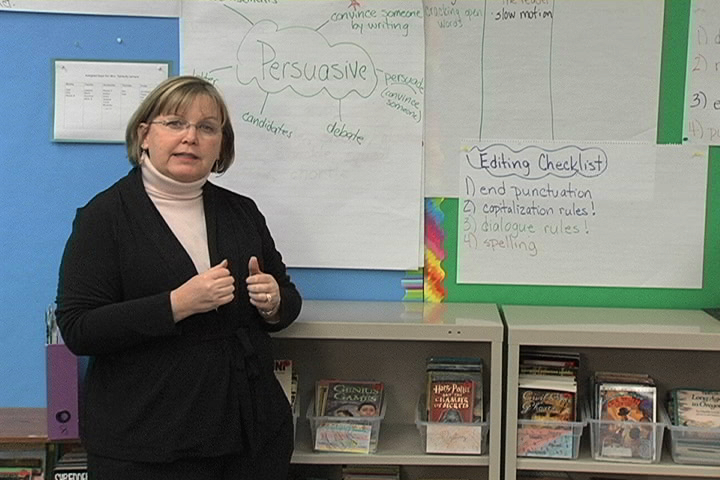 In this four-minute video, Kelly Yahr introduces viewers to her 1st grade classroom. Kelly emphasizes how much ownership students have of wall displays and the library, especially through their writing and lettering of materials. In this time-lapse video, “The Sisters” (Gail Boushey and Joan Moser) help second-year teacher Carrie declutter a storage area in May, talking through decisions about what to keep and what to throw away, and simple tricks for dressing up shelves. In this three-minute video, “The Sisters” (Gail Boushey and Joan Moser) continue their tours of school bookrooms. The focus in this presentation is on the checkout system. 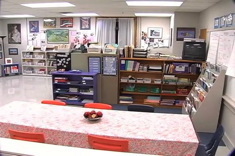 In this third installment of a three-part video series, “The Sisters” (Gail Boushey and Joan Moser) help 7th grade teacher Erin declutter and rearrange her classroom. This installment focuses on the challenges of classrooms with very little storage space. 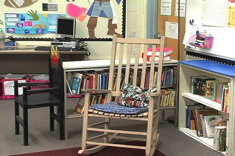 In this second of a three-part video series, “The Sisters” (Gail Boushey and Joan Moser) help seventh-grade teacher Erin declutter and rearrange the media area of the classroom, creating a cozy library space. 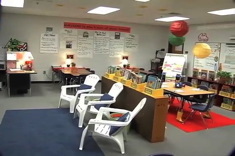 In this four-minute video tour, Jennifer Allen describes how she arranges and displays materials in the “Literacy Room,” the space that has become invaluable in supporting teachers’ professional development in literacy instruction. The Sisters help a new teacher, Amy, sort through junk she inherited from previous occupants of her classroom. The video uses time-lapse videography to show how the coat, storage, and book area is transformed in the process of winnowing down these materials.